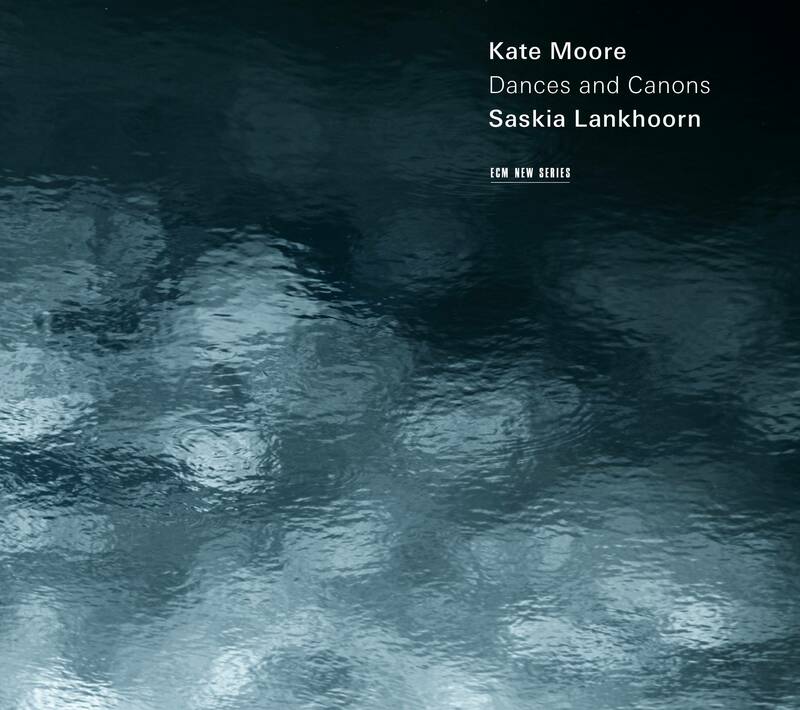 The music of composer Kate Moore is a hybrid of hybrids. It channels the inner fire of things that must someday turn to ash, and coaxes from this realization one intensely melodic conflagration after another. Born in England but raised in Australia, Moore cites the latter’s open landscapes as having permanently hued her artistic paintbrush. 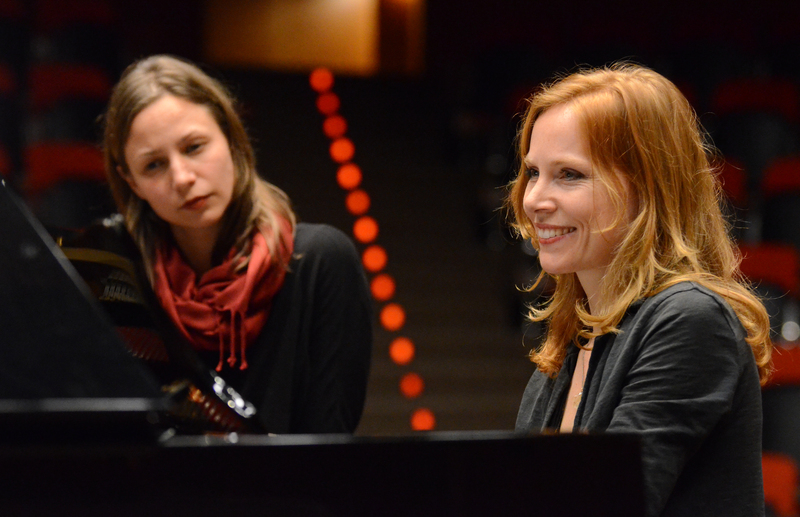 Moore’s longtime interpreter is pianist Saskia Lankhoorn, who debuts both herself and the composer to ECM’s hallowed New Series family. Even though Moore professes no allegiance to minimalism—and rightly so, for her politics could hardly be more different—fans of the genre’s stalwarts are sure to take distinct pleasure in this program. Furthermore, taking the opening solo piano piece Spin Bird as an example, we find a natural wonderment present in, say, the seminal Philip Glass. Yet where Glass might attend to the overarching philosophical questions of a Koyaanisqatsi or a Satyagraha, Moore is more interested in the under-arching gesture, a cupping of water in all its microscopic glory. In this respect, Stories For Ocean Shells, also for solo piano, is like two hands interlocking: despite being of the same organism, each has characteristics that distinguish it from the other, with whom it only partners occasionally in a world designed to separate them through material engagement. Only through immaterial actions do they come together in a temporarily unbroken circuit of meditation and profound thinking. Every microtonal harmony is a puff of spore, every melodic spiral singing as if sung in the manner of a falling leaf. The result is a music that gazes on its own reflection and sees insight into the self as insight into all selves. And so, what might seem a mere chain of arpeggios in theory is in practice a downright sacred unfolding of time signatures, which can only be notated through the act of speech and bodily interpretation. Lankhoorn is fully adapted to bringing all of this out, and more. But if The Body Is An Ear takes its inspiration from the writings of Sufi mystic Hazrat Inayat Khan (as it does), then it also takes inspiration from that which cannot be written (as it should). The rhizomatic pulse of its two pianos is so translucent that the instruments bleed through one another until there is but one between them. The transitions are resolutely beautiful—from smoothness to pointillism, from connectivity to individuality, from river to ocean—but hearing them as we do from the level of the molecule, we recognize that even beauty needs emptiness to survive. In this light, Canon is the intermediary between coalescence and dissolution. Magnified now to four pianos, Moore’s forces begin with a rounded dance of solitude and finish in a thought spiral. As the newest piece of the program, brought to the studio as it was in still-raw form, its gradualness begs a contemplative spirit and rewards the patient listener with presence of mind. From the above descriptions, it would seem as if Moore’s is an ephemeral realm. This it might very well be, though no more than anything in this world already is. It’s also physical. The spine of Zomer (for solo piano) is glass-boned, its nerves of light sending their messages in occasional, quiet bursts, while Joy (also solo) grows heavier with every iterative cycle of its unfolding. Like the emotion itself, it is sometimes messy, at other times supremely ordered, and prone to exhaustion. The ultimate (for being fundamental) distillation of all this is Sensitive Spot for “multiple pianos,” meaning the musician must play against recordings of herself, trying to match them as closely as possible. Quick and almost nervous, it reinforces itself like a flower becoming lost in its own fragrance. The closing reprise of Spin Bird, then, feels less like such. Rather, it is a leap farther inward to a place where only you, dear listener, and I may travel, untethered and free to roam.